Home » STARWALL - individual and simply more! STARWALL - individual and simply more! INDIVIDUAL WALL-DESIGN - THAT SUITS YOU! Whether in homes, commercial properties, public buildings or in many other fire protection areas, with the STARWALL concept patented in 76 countries worldwide, we open up to you almost unlimited possibilities, both inside and out! Creativity, colour, excellent resolution, graffiti protection and scratch-resistant with high quality UV protection and compliant with the current environmental ordinance requirements: attributes that to date did not necessarily apply to façades become reality with STARWALL. With a whole range of benefits. Starwall makes parking slots brighter, more friendly, more economic, and safer abreates impressiv brand worlds with added value for all ! Due to the additional integration of light, outdoor advertising with STARWALL will become the top allocation with the highest attention and memory value – especially in underground car parks of department stores and shopping malls. 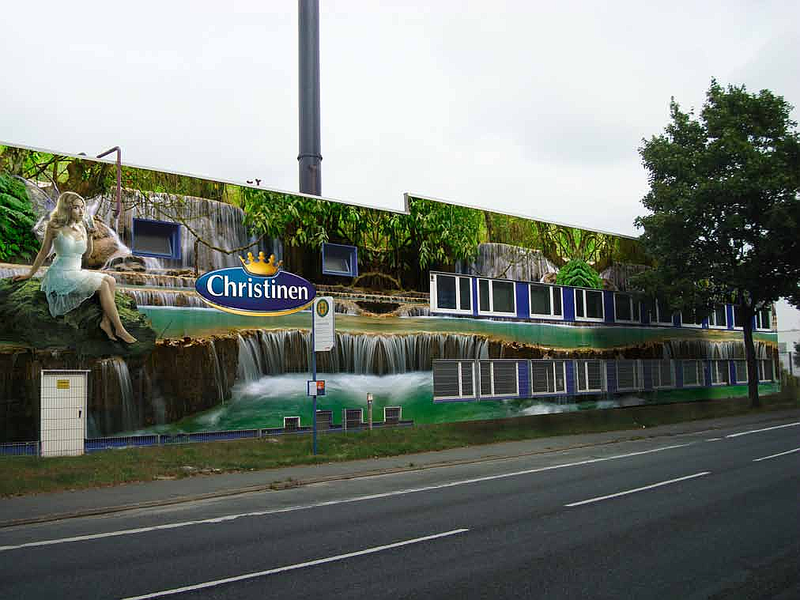 An idea makes parkinggarages and façades into a lively experience and creates a one of a kind experience - unique as you are! STARWALL revolutionises the possibilities of façade design and makes previously monotonous and care-intensive façades into unique pieces with a real 'wow' factor. On high quality printed fibre cement panels (fire protection class A), a bright custom design with potential is created on previously drab walls. Classic images such as marble, granite or wood décor can now be reproduced economically in a way that is easy to maintain. A wooden façade that never has to be painted again and cannot be distinguished from a real wooden façade! Or perhaps the often expensive natural stone façades that cannot be realised for structural reasons that are affordable with STARWALL and can indeed be realised. Rounded off by 100% graffiti protection, UV protection and scratch-resistance. When do you get the façade that meets "all" of your needs and desires? In countless other areas in which class A fire protection is one of the most important requirements or graffiti is a problem! In indoor and outdoor areas such. 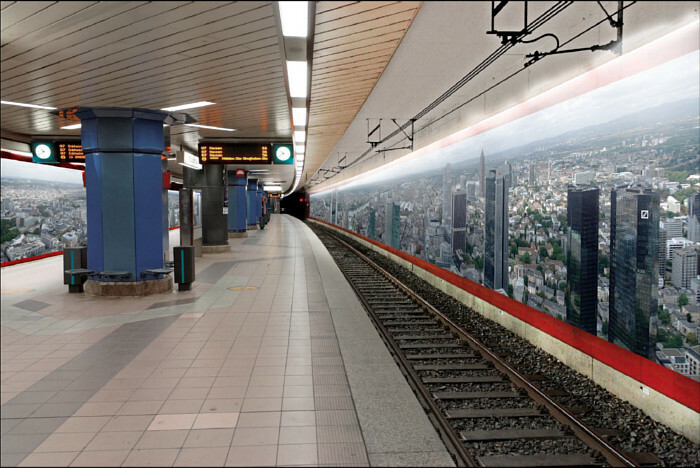 Railway stations, airports, tunnels, public buildings, kindergartens and schools as well as noise barriers and many other areas of application! Request your own custom offer today!